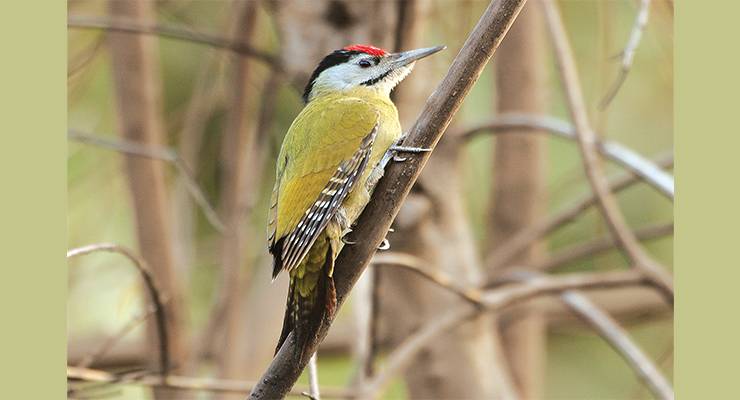 Morning check-out and transfer to Sultanpur Bird Sanctuary for Half day birding. Continue drive to Bharatpur (6 hours). Arrive Bharatpur in the evening. Overnight stay at the hotel. Two full days birding in Keoladeo National Park with Asian Adventures Birding guide. Your driver will get your lunch from the hotel to the sanctuary to maximize your birding time in the sanctuary (which is included). One can also opt for one afternoon birding in the field outside the park for other species. Overnight stay at the hotel. Morning birding outside the park. Afternoon drive to National Chambal Sanctuary. Arrive Chambal in the afternoon. Evening birding around the lodge. Overnight stay at Chambal Safari Lodge. Morning cruise with a guide to see Indian skimmer, black-bellied tern, flocks of migratory waterfowl, cranes such as common, demoiselle and sarus; fish-eating crocodile and marsh mugger; Gangetic dolphin; turtles etc. Return to the lodge for early lunch. Check-out from Chambal at 1230 hrs and proceed to Agra (01 hours) to visit to the Taj Mahal. After visiting Taj Mahal, continue drive to Delhi. Arrive Delhi in the evening. Overnight stay at the Hotel. After early breakfast, drive to Corbett (7-hour journey) stopping en-route at various fields for birding as per your choice. Arrive Corbett in the afternoon. Evening birding at Kosi river. Overnight stay Tiger Camp. After breakfast, drive onward for Dhangarhi gate for entry to Dhikala tourism zone. Visit the Interpretation Centre. Jeep safari through the stately dense Sal jungle and the wildlife adventure of Corbett begins. Jeep Safari by the lower jungle track along the Ramganga River accompanied by an expert guide. A great opportunity for viewing wildlife, especially the tiger in its natural habitat. Cross the river at Gethia Rao Bridge for the Kanda Range, where Jim Corbett shot the famous Kanda man-eater. Arrive at the main tourist complex, Dhikala. Lunch and relax a bit in the serene. Afternoon visit to the grasslands & forested area for birding. Overnight stay at Dhikala Forest Lodge. Birding in the lower jungle track along the Ramganga river is very rewarding for water birds such as river lapwings, waders, mergansers and other waterfowl. While relaxing at the lodge or visiting the grasslands one can see long-tailed nightjar, jungle owlet, spot-bellied owl, common stonechat, black francolin, purple and crimson sunbird, golden-fronted & orange-bellied leafbird, black-shouldered kite, hen harrier, changeable hawk-eagle, chestnut-tailed starling etc. Overnight stay at Dhikala Forest Lodge. PS: You can leave your extra luggage at Tiger Camp and carry the stuff for 02 days only. Driver will help you for that and we’ll instruct our reception team at Tiger Camp. Morning elephant safari through the grasslands and dense forests. This is the best mode of transport for wildlife viewing. Return for breakfast and then spend time till lunch on a watchtower overlooking a water hole. Some of the best birding areas of Dhikala are Sambhar Road and Khinanauli. One can expect to see great slaty woodpecker, great hornbill, puff-throated babbler, white-rumped shama, Pallas’s fish eagle etc. After lunch, drive back to Tiger Camp in the slow pace. This drive up to the park exit gate will be a safari in itself. Arrive Tiger Camp in the evening. Overnight stay. Morning birding outside the park to look for tawny & brown fish owl, Asian barred owlet, plumbeous redstart, brown dipper and the three species of forktails. Other species that are possible in the forest are crested tree swift, spangled drongo, blue bearded bee-eater etc. Also visit Kosi river to look for Ibilbill and other species.. After early lunch, drive to Pangot stopping en-route at Kaladhungi and Corbett Falls for birding. Arrive Pangot in the late afternoon / evening. Overnight stay in Jungle Lore Birding Lodge. Two full days birding in Pangot with your guide. These walks can be very rewarding. One can see crested serpent-eagle, mountain hawk-eagle, Woodpeckers such as brown-fronted, stripe-breasted, rufous-bellied etc. Thrushes such as dark-throated, mistle etc. Striated prinia can be see in the terraced fields. Warblers such as tickell’s leaf-warbler, greenish, golden-spectacled, grey-hooded. Flycatchers such as Asian brown, rusty-tailed, ultramarine, verditer, tickell’s blue, rufous-bellied Niltava etc., orange-flanked bush robin, blue-capped redstart. Laughingthrushes such as white-throated, striated & streaked, chestnut-crowned etc. Look for accentor, upland pipit, blue-winged minla, whiskered yuhina etc. Overnight stay in Jungle Lore Birding Lodge. Meals: Breakfast and packed lunch from Pangot. Morning birding in Pangot. Drive to Sat Tal with packed lunch stopping enroute at various birding locations. Arrive Sat Tal in the afternoon. Rest of the day birding. Dinner and overnight stay at Mapple Hermitage Resort. The entire drive is through the forested area of Cheena Peak Range via Snow View Point and Kilbury. One can see a variety of Himalayan species along the way such as lammergeier, Himalayan griffon, blue-winged minla, spotted & slaty-backed forktail, rufous-bellied woodpecker, rufous-bellied niltava, khalij pheasant, variety of thrushes etc. 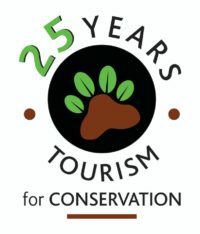 More than 200 species have been recorded at Pangot and surrounding areas. The numerous perennial & seasonal creeks are home to an amazing variety of flora and fauna including the Leopard, yellow-throated Himalayan martin, Himalayan Palm Civet, ghoral, barking deer, sambhar, Red Fox etc. Full days birding in Sat Tal / Bhimtal with your guide. The habitat offers species such as white-crested laughing thrush, rufous-gorgeted flycatcher, red-billed leothrix, Siberian rubythroat, rock bunting etc. This scattered and deliberately undeveloped area is one of the most pleasant destinations. Look for rufous-chinned & white crested laughing thrush, rufous-breasted accentor, greater yellow-naped flameback, speckled piculet, golden bush robin etc. Overnight stay at Mapple Hermitage Resort. Morning birding in Sat Tal. After early lunch, drive back to Delhi (you can also opt for packed lunch if you wish to leave for Delhi little early). Arrive Delhi in the evening. Transfer to Delhi airport to connect flight back to home. Tour ends.